My grandmother was an excellent cook. Fortunately, many of her recipes and techniques were handed down through the generations. My mother's family made the journey from Poland to America during the Great Depression. Although they carried with them only a few material possessions, they brought a wealth of their regional Polish culinary knowledge. My grandmother was an excellent cook, and, fortunately for all of us, many of her recipes and techniques were handed down through the generations. One of our favorite recipes is kielbasa and cabbage, a simple, hearty dish that pleases a crowd without breaking the budget. True to my grandmother's tradition, we make this pleasing meal when the weather is cold and the onions and cabbage are going into storage for the winter. In my grandmother's day, this would also be the time of year for butchering and making homemade kielbasa. We don't make our own kielbasa these days. Instead, we use quality, commercially prepared kielbasa such as the Hillshire Farm brand. Their product line includes several varieties of Polish kielbasa including "lite" and turkey. Most supermarket chains carry at least one Polish kielbasa brand. Now and again we do enjoy shopping in our local Polish markets for their homemade varieties, but because these special sausages are so expensive, we enjoy them only on special occasions. When we do splurge on homemade kielbasa, we simply heat, slice, and serve with horseradish for a rich, zesty appetizer. Would you like to make your own kielbasa? 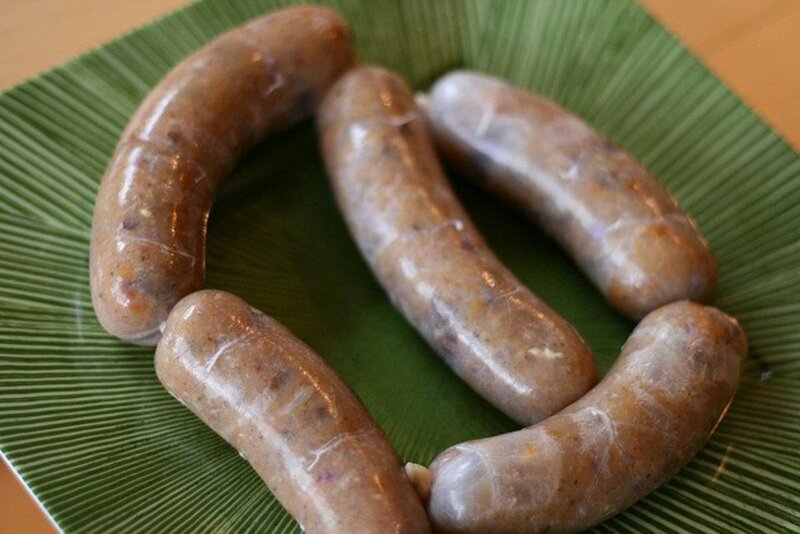 Take a look at John D Lee's recipe for making homemade kielbasa. Melt the butter over medium-low heat in a large, heavy-bottomed soup pot or dutch oven. Add the chopped onion and sauté until translucent, about 10 minutes. Add half the thinly sliced cabbage and all of the apple and garlic. 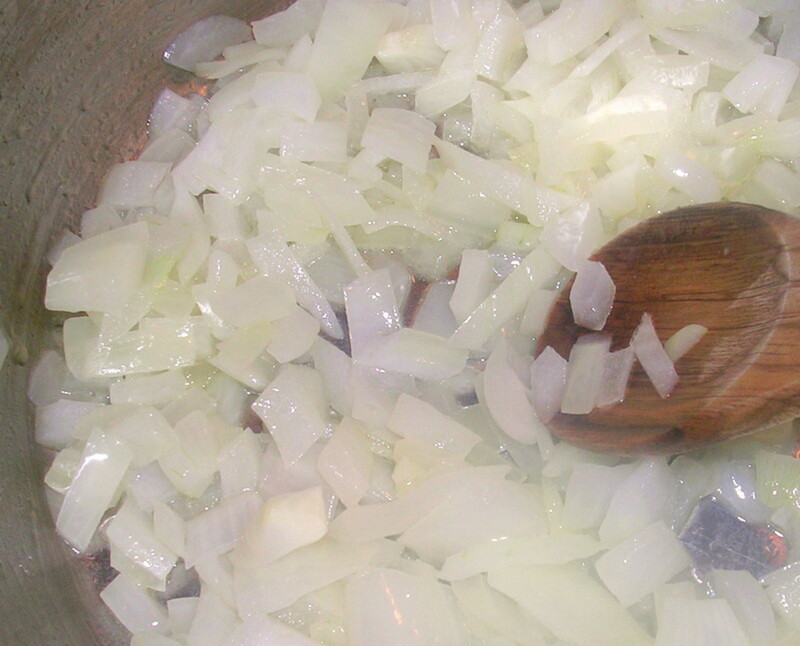 Toss with the onions, cover, and turn the heat down to the lowest possible setting. Cook for 15 minutes, stirring two or three times to make sure nothing is sticking to the bottom of the pot. Add the rest of the cabbage. Mix all ingredients well, cover, and let cook for an hour, stirring occasionally. Add the sliced kielbasa and the black pepper. 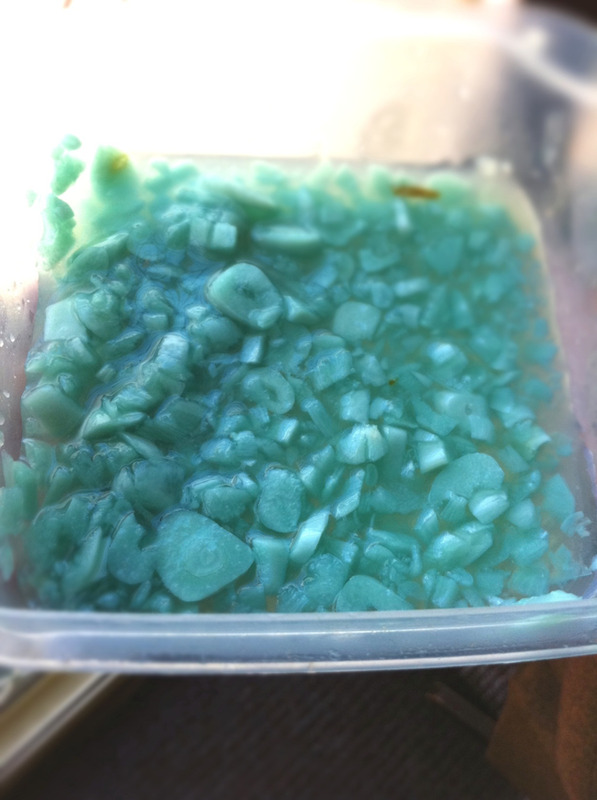 Mix ingredients thoroughly, cover, and let cook for 45 minutes, stirring occasionally. 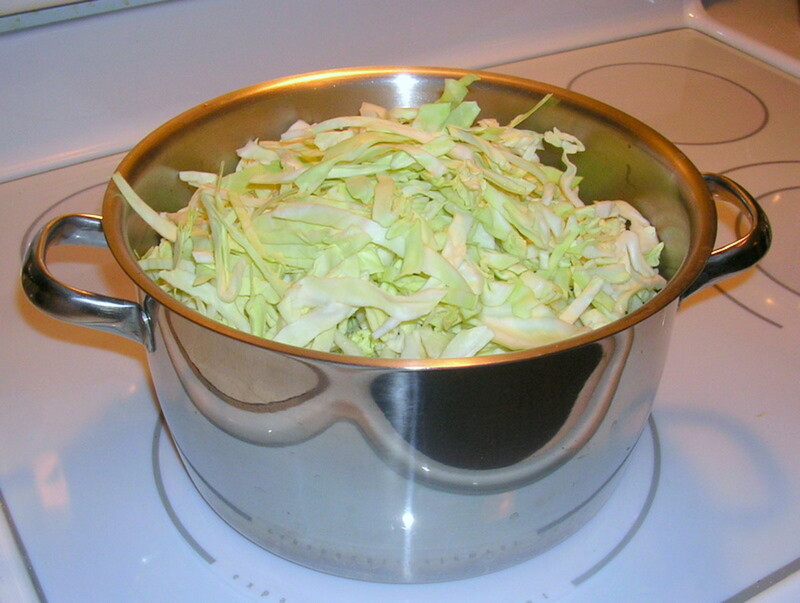 The kielbasa and cabbage are done when all the cabbage is cooked through and soft, and there's a fair amount of liquid in the bottom of the pot. We can't stress enough the importance of long, slow cooking. 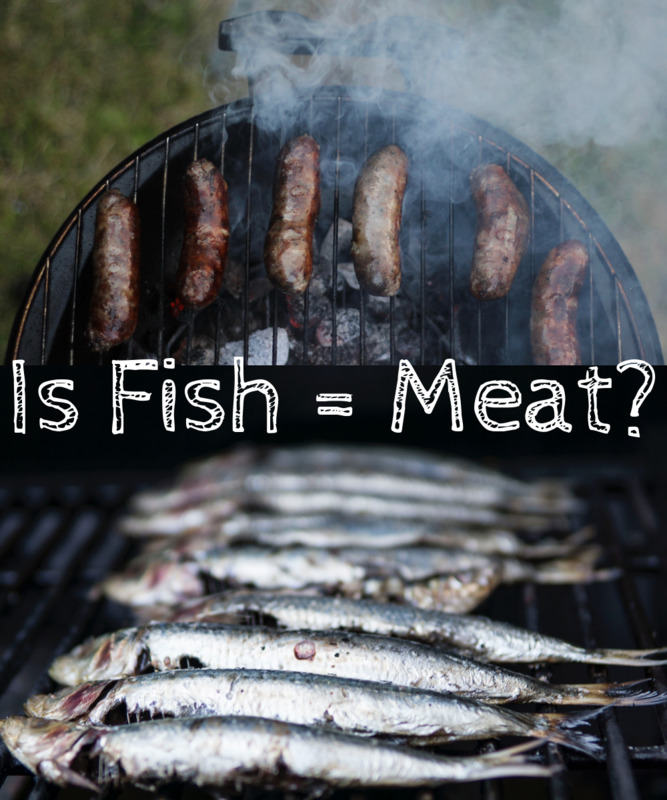 The low heat and extended time cause the ingredients to release their water and fat, essentially creating a meat, fruit, and vegetable stock that unifies the flavors and aromas of the ingredients. If this dish cooks too quickly, the ingredients will become dry and tough and the hearty, earthy taste will be compromised. Yield: Approximately eight one-cup servings. Are You Cooking for One? Don't hesitate to make this recipe just because you usually cook only for yourself. Freeze cooked and cooled kielbasa and cabbage in single-serving containers that are freezer-proof and microwaveable. When you are hungry for a hot Polish meal, defrost, heat, and enjoy! Our favorite way to eat kielbasa and cabbage is to ladle it out over a bowl of hot salted and buttered egg noodles. Equally delicious and satisfying with this hearty, fragrant dish are garlic mashed potatoes from annemaeve's kitchen. For rich, red color and a sweet and tangy flavor, serve a side of heated Aunt Nellie's Harvard Beets. Another beautiful and sweetly flavorful accompaniment to this meal is a serving of steamed, buttered carrots. 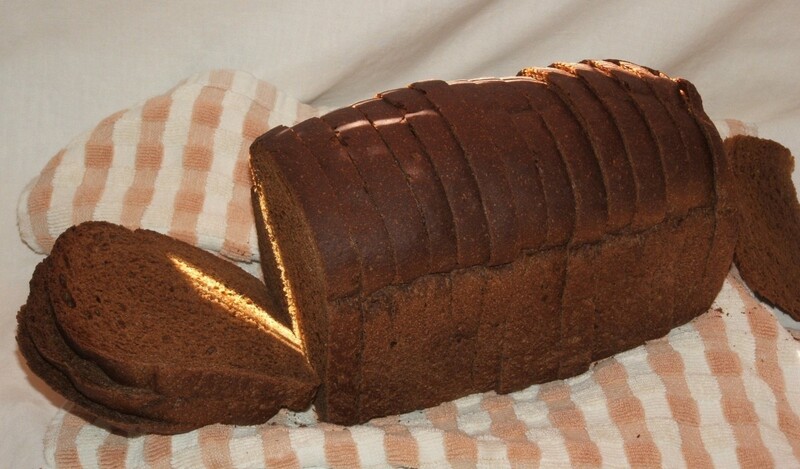 And don't forget some fresh rye bread to use as a pusher and to sop up the tasty juices. By the way, we've never heard of or known a child who doesn't like this dish. If you prepare kielbasa and cabbage for very young children, be sure to cut the meat slices into smaller pieces. Sally, this is a delicious recipe I would love to try, if I'm brave enough. Thanks for sharing. Voted up! adding apples. I like it. Thanks for the awesome feedback, Jessica! Made this for dinner tonight, it was delicious! MagicStarER, scalloped potatoes are such a great addition to this meal. Spiced pickled beets I could DIE for. Love them. It's clear you have a heart and soul for Eastern European cooking. 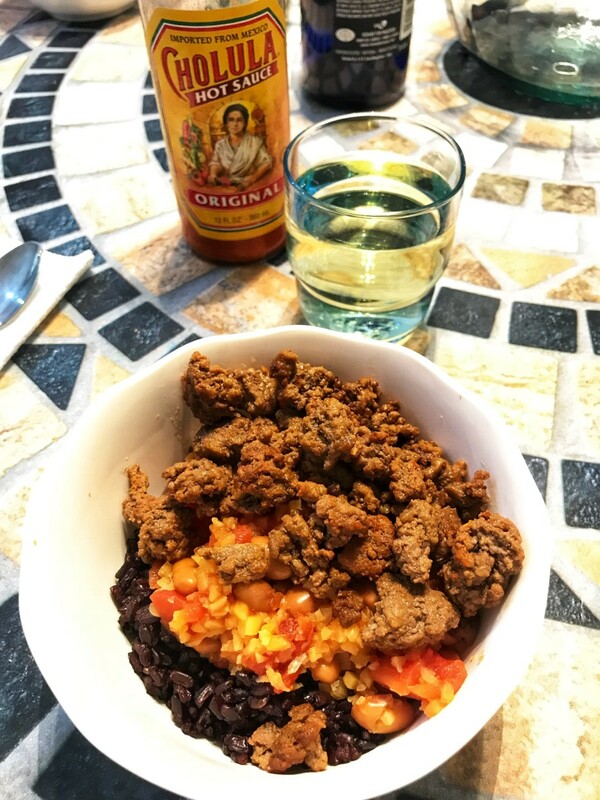 Your friend is going to love this meal you prepare. @creativelycc , thank you so much for your good words. Now you can have a happy marriage of kielbasa and cabbage. As you say, minerals, vitamins, protein. Definitely good for the body and soul. Definitely not good that HP has kept your comment away from me for so long, but sometimes that happens. Never saw your comment from 8 months ago until today. So glad to meet you here! @mytide, same goes. Never saw your comment until now. You are so welcome. This sounds so yummy, I love both cabbage and kielbasa. Never thought to cook the two together, I'll keep this recipe as a regular now. The ingredients in this recipe are filled with vitamins, mineral and protein. So good for the body and soul. Thank you! Marek, there are as many ways to make kielbasa and cabbage in Eastern Europe and Russia as there are ways to fry a chicken in the US. 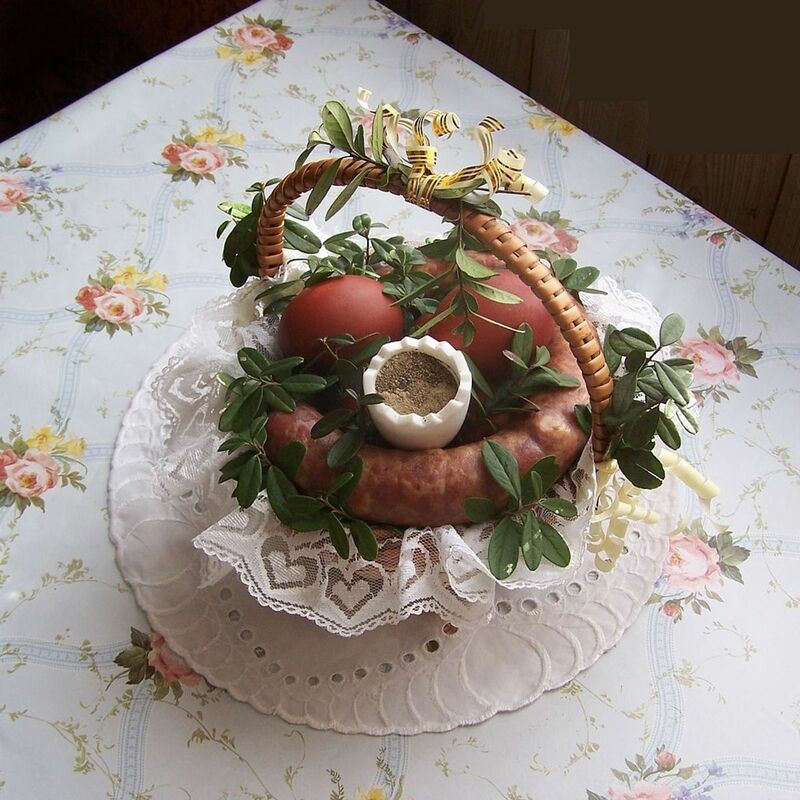 This is the recipe my family has always made, going back to the days when they still lived in Poland, except for the sausage of course, which would have been made by hand then. This is not traditional. Name is kapusta. You use kielbasa and pork and shredded kabbage with oil and salt and vinegar to make. What is made with this recipe, is German version. They tried to steal from us after 1942. Sometimes you put in onion on special occasion. Cannot use store kielbasa, is too finely ground, and is not pork! Is no different than store pirogues, they make in big factory. They were not shown how to make properly. Showed my wife tonight and she is up for it. Must be my German/Hungarian/Russian heritage kicking in. Art, it's so nice to hear from folks who enjoy these wonderful Eastern European foods. You'll love the garlic mashed potatoes! My wife has been making wonderful kielbasa and cabbage for many years, but I think we'll try the garlic mashed potatoes the next time instead of our usual noodles. Thanks for a delicious hub. Chorizo! Perfect! I'm so glad my family's kielbasa and cabbage recipe is finding its way to South America. Perhaps after you make that New Year's day meal, you'll write a Hub about how you made this recipe uniquely yours. I'm so locked in to Eastern European cooking that I never thought about cabbage being a South American food. There have got to be great cabbage recipes from that part of the world. Thanks so much for your inspiring comment. This sounds like the perfect meal for New Year's day. Can't wait to give it a try. However, living in South America, I will have to substitute chorizo for the kielbasa, but I think it will work just fine. Thanks for the great recipe! Teresa, I love your comment. You come from a rich food tradition, full of using the earth's bounty as it's made available to us through the seasons, and full of looking at foods in symbolic ways. Perhaps you will write here on HP about this tradition and how it graces, or even forms a new, vegetarian cuisine. I'm thinking about the simple cabbage, onions, noodles and apples I described (minus the kielbasa) served with a borscht and hearty bread dipped in an Indian dhal for the protein. Cuisines marry, to the benefit of all. CYBERSUPE, you are indeed a lucky fellow to marry a Poish girl who keeps you happy with kielbasa--breakfast, lunch, and dinner. We are very lucky here in the Philadelphia area to have many Polish provision stores within a reasonable driving distance. Thanks so much for your lovely comment. Happy Holidays from our home to yours! 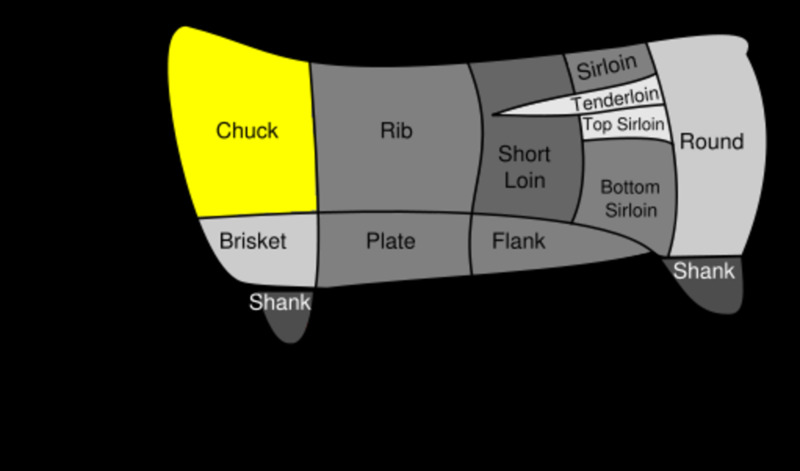 Hi Sally, just came across this awesome Hub concerning Kielbasa. I came from Western Pennsylvania to attend the University of Pennsylvania and meet a nice Polish girl whom I married and stayed here in the Philadelphia area.. Of course she introduced me to Kielbasa which I love, made in any way you can imagine. For breakfast, lunch or dinner. Thanks for sharing this receip. Merry Christmas Sally and God Bless! Om Paramapoonya, kielbasa is said differently depending on where you come from, even within the US. "Keel-bah-sah" would be the the most common pronunciation, but where I grew up, in the NY-NJ-PA region, you'll hear mostly "Kuh-bah-see"! No matter how you say it, it's delicious. Lori, how do you feel about gifting your husband this season with nose plugs? :) I love cabbage...the smell as much as the taste. But I was born into it. Perhaps for some it's an acquired taste, or one that never is. Come on over and have some of mine! Micky, you are so welcome! Chris, hope you do try it soon. Really, it's easy to make. Kielbasa and kraut was always one of my favorite meals. Not as finely prepared as yours, of course, and so I've got to try it! This has to be wonderful! Thank you ST! Caroline, you definitely are in one of the great "Polish Belts" of this country. So glad this method looks good to you. Thanks for leaving the good words! We have a lot of great Polish sausages in our local market. I love cooking Kielbasa and cabbage--but was just winging it before. I'll bookmark your method for next time! Thanks for posting! Zsuzsy, I've never put sour cream on kielbasa and cabbage, and I don't really know why not. Guess it's just something my family never did. But you can bet I'm going to try it next time. This is one of my favorite meals. The Hungarian version that I've grown up with doesn't add apples but next time I will try it with apples too. Mind you I'm naughty and I add a nice big dollop of sour cream onto mine (of course the low cal one). My youngest daughter loves this meal served over-top of perogies too. Kay, you have an excellent point. In cooking schools and the media, when it comes to cuisine, the focus is often far away from the roots of producing and cooking food. Polish cooking, like the cooking of foods in eastern Europe and around the world before there were processed food megacorporations and a media focus on the avante, was based on what was at hand on the farm and in the home. Truly, this kind of cooking is not as appreciated as it should be. Although I adore today's eclectic cuisines as well as the contemporary manifestations of the rich history of bourgeois cooking, I sometimes just want my cabbage, kielbasa, and beets! I have to tell you, I love Kielbasa AND I love cabbage! 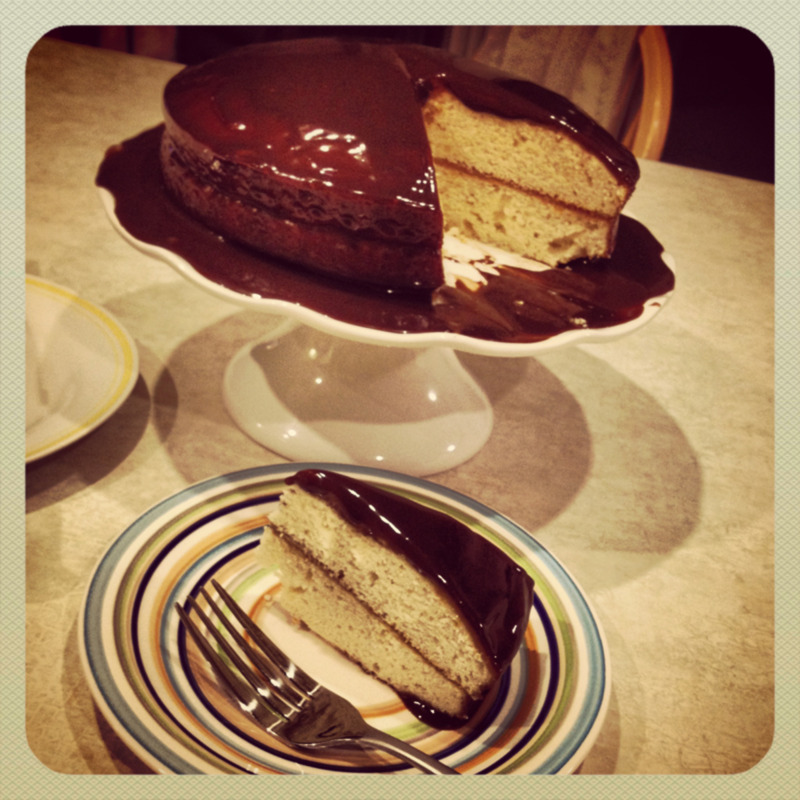 Your recipe truly made me hungry, and I will have to try it! Polish cuisine is often not as appreciated as it should be. Ahhhh, Hello, hello! 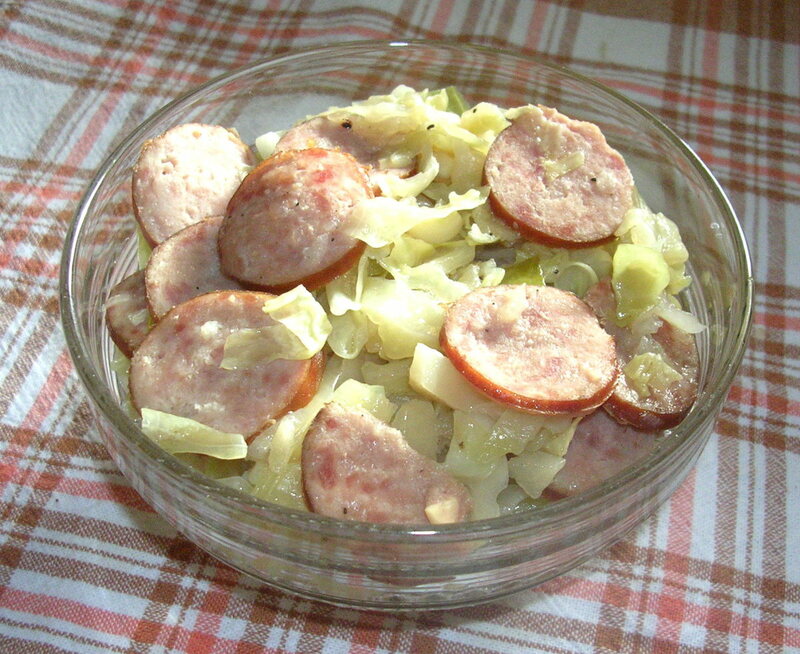 Kielbasa and cabbage is only the tip of the Polish cuisine iceberg. Check out my Hub on how to make stuffed veal pocket for another wonderful Polish dish. Thanks so much for reading and commenting. I always enjoy hearing from you! CASE1WORKER, I have never been to Warsaw, I've never been to the land of my mother's birth. I think there is much magic in cabbage, and I hope you share your thoughts and recipes about this, adding what you discovered there. The quality of Polish cooking is well known. Now I know how to do it. Thank you. Yeah, Bill, I get the mind-space aspect of this. Things sometimes strike a nerve with me, too, and then I can go ballistic. Like, "Don't you know the difference between its and it's, theirs and there's, which and witch?" I figure that by my example eventually I'll make a difference. But there's no point in hammering on the obvious...let folks make their own discoveries. All in a day's thought. Thanks so much for adding your day's thought to this Hub. Bill, the first thought that comes to my mind is "to each his own". Not everyone has access to homemade kielbasa, and I'm glad you do. I've never had lasagna with Cheeze Whiz. That's definitely something to consider. Thanks for reading and adding your thoughts. I'm glad I "had you" with this recipe, if only to a point. Just substitute your own smoked sausage choice and enjoy. It is worth the effort. LOL, FlyingPanther. What if we made your pie and my k&c meal in one night and ate it all, too? I think we'd be on either a stairway to heaven or an ambulance ride to the nearest hospital. Love that we both love food the way we do. Audrey, Polish populations have their concentrations in the northeast and north midwest of our country. I can only imagine that the Michigan tradition is as rich, rich, rich as the one I grew up with! Hope you and your hubby enjoy my family's dish of kielbasa and cabbage. You had me until you suggested Hillshire Farms kielbasa, which I've found to be absolutely horrible. To me it's like saying that Cheese Whiz is a good substitute for imported Italian cheese when making lasagna. Luckily for me, there is a place nearby that sells authentic kielbasa in several styles. I would not even consider going through the effort of making this dish without quality kielbasa. Yummy... sally.Well maybe one day when we visit one another you can make this meal for me and i could make my sheppard pie for you LOL *S*. Great hub as always and it is one meal that i will make for sure. Yummy.....my husband is from Michigan where kielbasa was king and I'm a huge cabbage fan! Definitely going to make this! 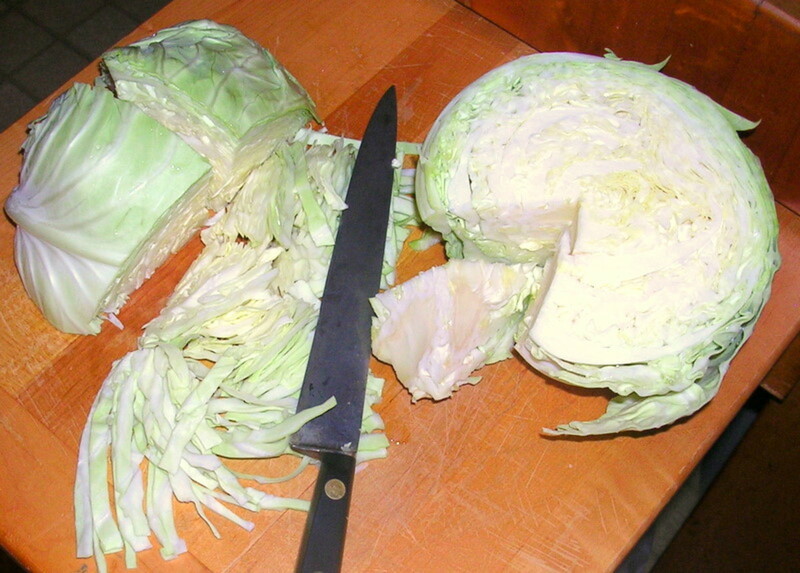 Steve, other than eating coleslaw or Trish1048's creamed cabbage dish, I've never eaten cabbage as a side by itself. I looked to see if you had any cabbage hubs, and I found you answered a question, "What is your favorite use for cabbage?" I was quite intrigued with the answers, including yours. When the spring cabbages start to come in, I'm definitely going to try the red onion and vinegar! FP, I love your view on food, and this dish is really for you. Nothing to it. In fact, while it's cooking slowly, you can curl up on the couch with a good book and purrrrrrr. I wish you were closer, too, FP. Wouldn't we have fun! I think an Indian chicken sausage would be fantastic in this Polish recipe! I love cabbage and Kielbasa, never thought of combining them, I will have to try this! I will have to pass this on to my wife, ST. Good to see you back in business. Can't wait to visit with your granddaughter again, Trish. She can cast her eye on this meal, and I will meet it with my "look". She'll get it or not. And eat it or not. I adore her. Please come soon. Then she and I and you can also make your stuffed cabbages. Mom will come, too. I am so in the mood for cabbage! This is one meal you'll have to make the next time I visit. Hillshire Farms is my favorite brand, and I use their turkey sausage for my sausage meal, which you know. I'm going to have to make a point of getting out there soon! Yum! Darski, so glad to see you. 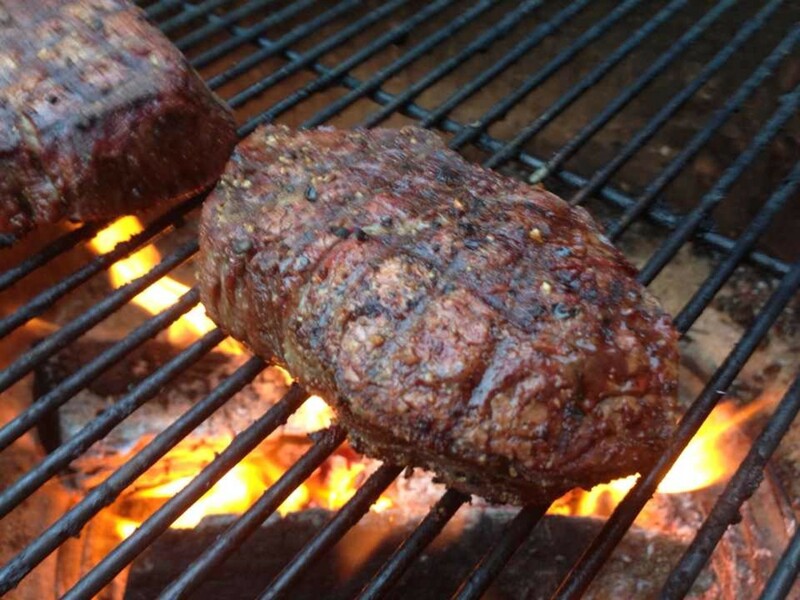 Here's a great thing about this recipe: You don't have to add the meat. Just cook all the other ingredients and then serve with noodles or potatoes or carrots or beets. My Aunt Joan makes the cabbage, onion, and apple according to this recipe's directions, then she adds lots of butter (!) and black pepper and already cooked noodles and cooks it all on a low heat for an even longer time (the juice from the cabbage and apples provides a perfect medium for long, slow cooking). We call her recipe "cabbage and noodles". It is outstanding. Talk about grilling kielbasa, what a summer treat. We get Italian hoagie rolls, slice them lengthwise, scoop out some of the bread to make a kind of boat, toast them on the grill, and then put the split grilled kielbasa that's been marinated in BBQ sauce right in the scooped-out places. Kids love these as much as they love hot dogs. Hot diggity dog. Thanks for a super comment! Definitely try this recipe...There's at least a part of a fruit daily requirement with it. Ha!